Although scheduled to be unveiled on September 4, for some unknown reason MV Agusta posted a clear photo of the F4Z on its Twitter account last night, followed by another angle on Instagram this morning. This is the design collaboration with Zagato that we told you about earlier. The photo above is the Twitter posting, the photo immediately below is from MV’s Instagram, and the photo at the bottom is the Photoshop-enhanced version of a teaser we posted last week. We appreciate it when designers take chances, but we admit to being puzzled by the F4Z on a number of levels. 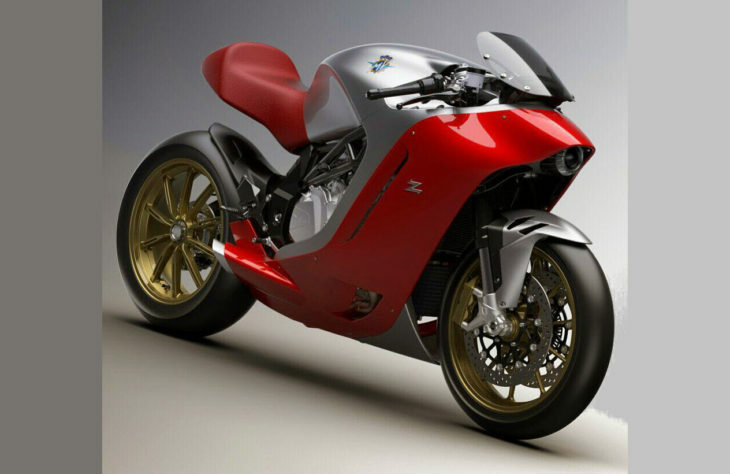 This will be an extremely fast machine with the superbike engine and chassis from the MV Agusta F4, of course, but the ergonomics and wind protection (or lack thereof) don’t seem like a good fit with that power and speed. Those thoughts occur before we even get to the aesthetics. In the end, “beauty is in the eye of the beholder”. Share your thoughts below. It is really beautyfull, I owned one small MV Agusta l50 CC Sport bike in I962 and traveled from Kuala Lumpur to and fro Singapore. I really enjoyed the ride.It really come back to Live. It is not going to be with a girl. Hopefully the Kymco clone will cost less. The headlight reminds me of Bill the Cat from the old comic strip Bloom County. Other than that it looks like a manatee. Zagato was overpaid. May be better in person, but here… nope. Beautiful! We live in the best of times! Thanks to motorcycledaily for keeping us informed. Cracks me up when folks use the words practical and aerodynamic when talking about motorcycles. So I guess in your mind a MC should never have to be practical transportation? A MC is nothing but a toy to you? I and others use them for long distances on occasions w/many containers of items if needed. I ride my ’97 Monster the 82 miles to work and back 5 days a week as long as the temp. is above 50, rain or shine. Is it practical? hell no. Do I love it? hell yeah. Yes it’s a toy. Interesting, think it will look even better over time, like the 999, or the Katana. Looks like something that Hans Muth would pen if he did something for Suzuki again. They had super-duper English designer, who they showed off lavishly. Did they dive him boot? This is snail without shack. A hoodlum. This is confusing. Seeing the black GPZ900 on screen with this thing makes the Kawi look like a cobbled together farm implement. But I love the look of the Kawi, and see nothing to like in the fairing, tank & seat of this thing. Weird. Are you messing with us, Dirck? if I take my thumb and cover up the ‘windshield’ and the headlight, the body geometry and fairing style looks intriguing. If I don’t, then the proportions just looks all off and the lines don’t work together… somehow. However, I’d much rather own one of these than the abomination the Kawasaki H2 is, some maybe go back to the drawing board and try again? I like it. It’s polarizing like the original Katana was. A beauty to my eyes. The shape doesn’t flow at all. The seat design and color are ugly, and the front looks like a disproportionate-sized air shovel – I can’t imagine that it has a low drag coefficient. 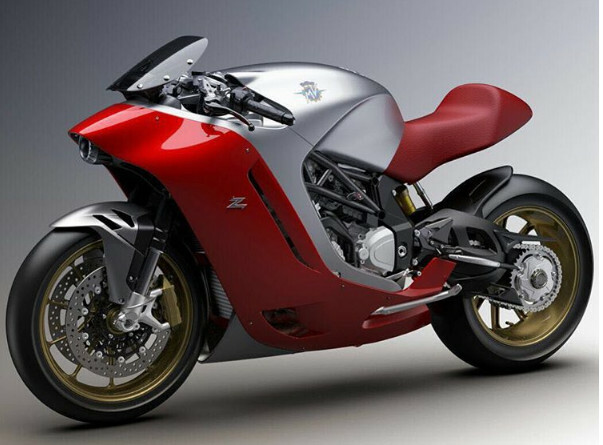 Other than that it’s a striking looking bike but way below par for MV Agusta. With this looks it will be better electric bike. If beauty or abomination are my choices, I’ll take the latter. Kind of a Tupperware street fighter with an anything but graceful tail section. I’d lessen the everything visually forward, make a trellis subframe to match the trellis part of the frame, that casting on the frame could go too, then make the seat the same shape as the red part of the plastic. I still probably wouldn’t like it. But I wouldn’t like it a whole lot less. This is why fat chicks get laid, someone thinks they are skinny. Needs the front end of a Bimota Tesi. What might the buyer profile be like for one of these machines? It looks like that one eyed thing that pokes his nose out of the sheets every morning, so I guess I kind of like it. What kind of industrial accident were you (or, possibly, your partner) in? It’s a thing of beauty… compared to a Confederate Wraith. For some reason, it also brings the old Honda Pacific Coasts to mind. Never been a fan of bodywork “seemlessly” blending into the tank. Did not care for the original Honda 600 Hurricane for the same reason. JMHO. A prime example of why automobile designers should never design motorcycles. Hideous. No practicality whatsoever. For looks only as in on display. Where’s the muffler? Sorry guys, but have you seen how motorcycles look these days? 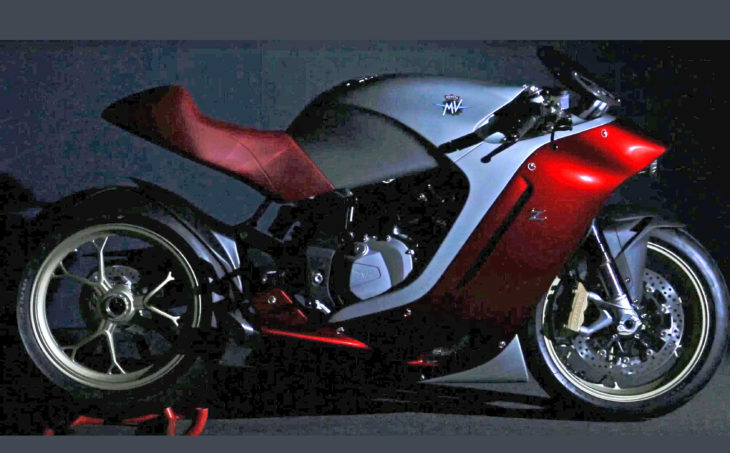 The Yamaha FZ10 would be fine for Transformers, but to see every morning? Kawasaki has lost it completely. RSV4s are incredible, but ugly. This MV really isn’t all that bad. You mean you don’t think my new KLR is beautiful? Looks very cool. Very unusual, but elegant. Function…..eh….wouldn’t want to be sitting in the wind at the speed that it’s capable of….but the throttle control is variable. Build around the rims and windscreen. Trash the rest. CHEERS! Nice, clean design. It’ll be interesting to see how it performs in real world testing. MV needs to kill that design. Kill it with fire. Reminds me of the Lotus motorcycle shown a year or so ago. 1996 called and wants its concept bike back. Reminiscent of the Suzuki Recursion, but not as well done. And a plank seat too. Really though it’s beautifully turned out and different as a concept bike should be. Can we really be sure how bad the aero and ergos are until someone rides it? Massimo Tamburini is rolling over in his grave. I wouldn’t park my 748R next to that abomination if you offered to pay the service bill on my bike for the next 10 years. Dam that new MV is fugly!